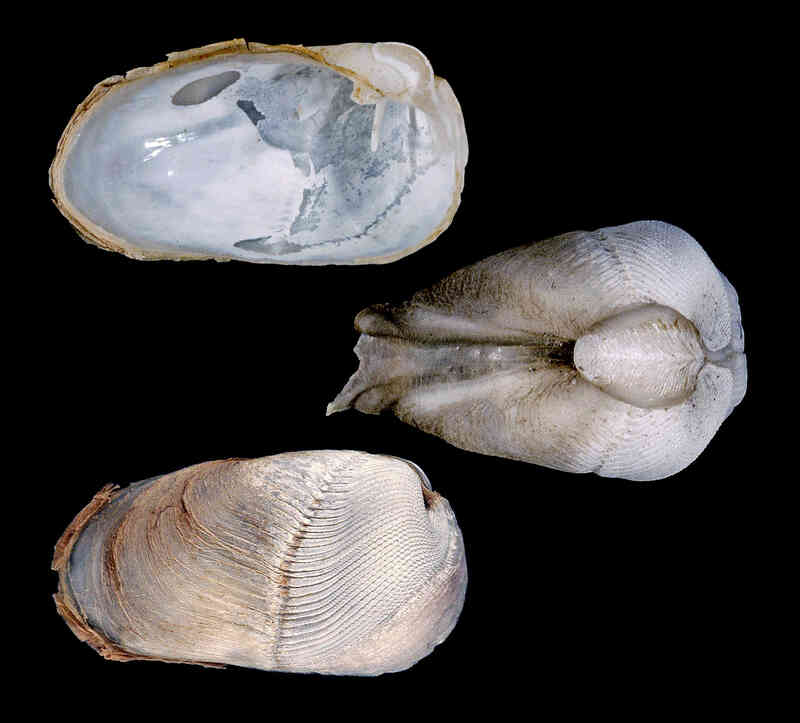 Shell size to 20 mm; shell shape variable, usually pear-shaped, thin. Sculpture of fine concentric, denticulate ridges anterior to oblique groove; ridges smooth posterior to groove. Anterior accessory plate (mesoplax) very distinctive, longer than wide, tear-drop- or heart-shaped, sculpted with fine growth lines. 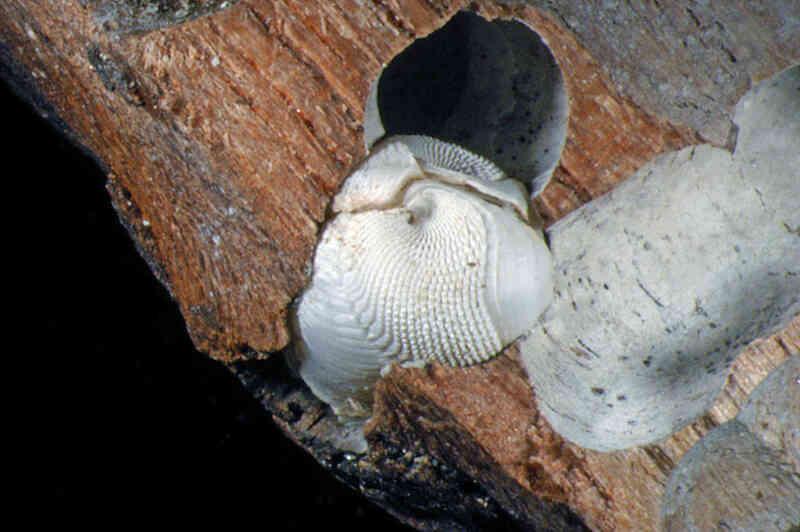 Very destructive wood borer, found in drift wood and floating logs.